I was looking through my pictures and found these photos that I hadn't shared with y'all. My sweet father came to visit months ago from England. He had touched down from a business trip to Holland and then directly boarded a plane to see us here in America. 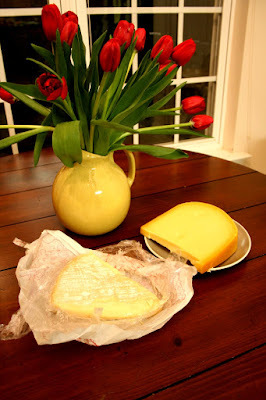 He managed to have the most delicious cheese vacuum packed in Holland and brought to us here in the Carolina's in all it's stinky, delicious glory. 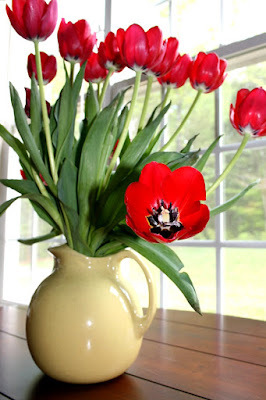 The gift wasn't complete without picking up some beautiful tulips upon his arrival. 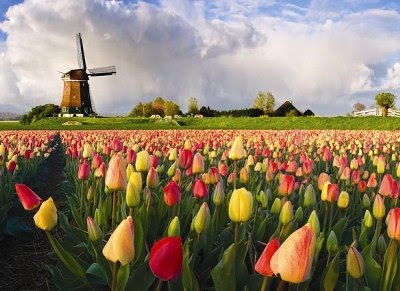 I guess there is something better than tulips and the most delicious cheese you've ever tasted...and that is good fathers. Close your eyes and imagine you are here with me. Can you almost smell these beautiful flowers? What a beautiful sight. 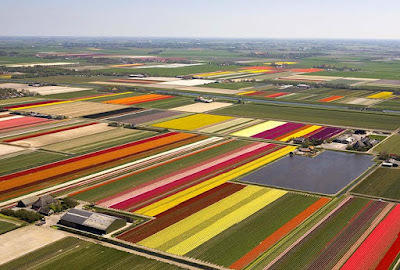 One day I hope to see these fields in person. Go treat yourself to some fresh flowers. 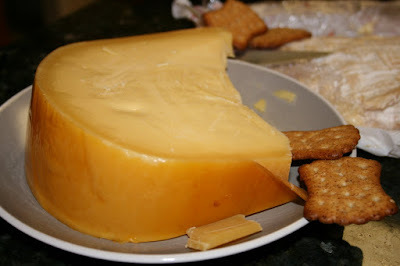 I am all about the stinky cheeses! WOW that is amazing! I want to go there also! 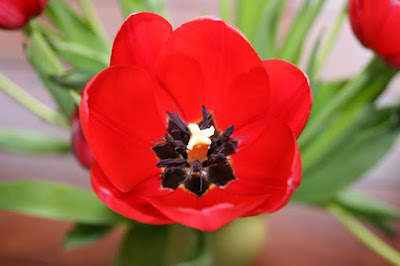 I love those tulip photos. Did you take them? I would frame those and put them on my wall. Seriously! High Five for your good pops! The tulip pictures are beautiful. They are one of my favorite flowers. Your dad is awfully kind to bring those gifts. What a completely thoughtful father!